Without the international authorities having finished with the investigation about the tragic events of Lampedusa, a new tragedy raised from the Mediterranean waters. Twelve migrants, most of them children, drowned when the boat they were in capsized while being towed by the Greek coastguard near the island Farmakonisi last Monday. The same story all over. A group of dispirit people, looking for a chance to live like normal humans tried to reach the promise land of Europe and they were lost in the waters of the Aegean sea. But this time the story had an extra element. 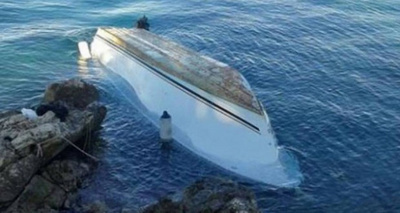 The survivors claim that their boat was being towed by the Greek coastguard with great speed towards Turkey when it capsized. There are even accusations of intentional violence and pushing in the sea. This is not about been Greek. This is about been a human being. This is about disgust for people that they thought that they were protecting their country murdering people. People, humans. There are no legal migrants, there are no illegal migrants. These are words serving states’ bureaucracy and taxes. They are all humans. Period. Anything evil happening to them is an act of criminals, a crime and in this case twelve times murder. And it is not only a group of criminals wearing coast-guards uniforms; it is a group of inhuman monsters. And there is political responsibility behind this crime. These monsters in coast-guards uniforms didn’t act out of instinct or sudden impulsion. They acted wittingly and most likely they had instructions. Instructions of an incapable government under the rule of crypto-fascist prime minister. One man, who said he lost his wife and four children in the incident, said migrants trying to get onto the coastguard vessel were pushed back into the water. He said he could hear a one-year-old child shout "Mama, Papa, help" from the sea. I just hope that these screams will accompany the minister and the criminal coast-guards for the rest of their lives. Every single second. Another man, who said he lost his wife, two sons and a daughter, said the coast-guards were swearing at them. "They threw them into the sea," he said, as he broke down in tears. The answer of the minister? “Such issues should not become the subject of petty political exploitation; all of this can't be used for stupid games. I don't believe anyone wants to throw open the gates for all immigrants to enjoy asylum in the country." His words, the monster. And he is not the only one; there are more ministers like him, not only in Greece but all around Europe, who believe the same things, and there are many around us who believe the same things. And there are kids this moment dead in the bottom of the Aegean Sea because of them! And because I’ve been migrant most of my life I know that pigs, racists, murderers and ministers like him can not see who is legal and who is illegal for him anybody different is destine to drawn in the sea. I just hope Mr. Varvitsiotes could answer how he slept the last four days. Could he hear the kids asking help? Yours is truly a Compassionate and Noble Spirit. Your report of these brought Tears to my Eyes and my Soul. Thanks for informing me, wow, I am shocked and disturbed.